In the last post, I wrote a tutorial on how to integrate Google Maps and GPS services into a Xamarin.Forms app. This post will focus on camera integration with Xamarin.Forms. 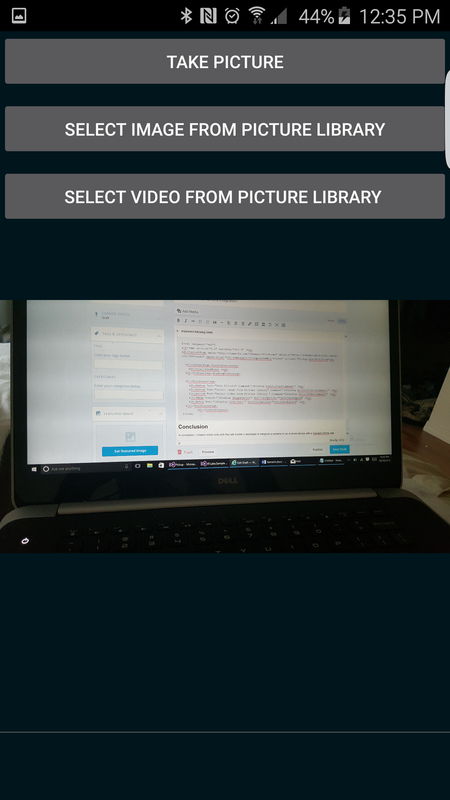 In this post I will provide code (referenced from XF Labs) that will enable your Xamarin.Forms app to take and view photos. The code that I’m going to share was borrowed from a Xamarin.Forms Labs sample project. This sample can be found here. //RM: hack for working on windows phone? In conclusion, I shared some code with that will enable a developer to integrate a camera on an Android device with a Xamarin.Forms app.